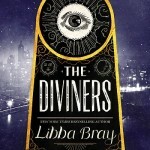 When I was first asked if I would like to submit a reader’s response to YALSA’s Hub Reading Challenge, I started compiling a list of the books I thoroughly enjoyed. However, as I thought more about what book I wanted to write about, I found I couldn’t decide on just one. I thought instead about recording my experience with the reading challenge and the effect that a variety of the books had on me. By taking on this reading challenge, I picked up books that I wouldn’t normally have chosen to read. I have broadened my reading horizons and encountered characters that have left an indelible mark on me. 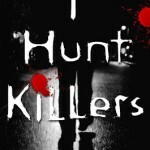 Take, for example, the book I Hunt Killers by Barry Lyga. The main character, Jasper (Jazz) Dent is unlike any character I have met in the pages of a book because he is the son of a notorious serial killer. As I got to know Jazz through his struggles of identity and wrestling with temptations, I found myself rooting for him with surprising tenacity. I even went on to read the sequel, Game, which is just as good, if not even better, than the first book, as we get a more in-depth look at Jazz and what drives him as a person. Maggie Stiefvater’s The Raven Boys was a re-read for me, and this novel was even richer the second time around. Gansey, Adam, Ronan, and Noah have a fierce friendship that is beautifully displayed through Stiefvater’s vivid prose and multifaceted characters. Throughout this challenge I stopped and marveled at the ability of authors to make us care so intensely for their characters. 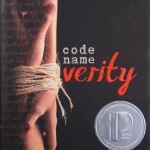 Another of the books that I re-read was Code Name Verity by Elizabeth Wein. I’ve heard some people say that they don’t re-read books because there are so many other great books to read and not enough time to read them. I understand this sentiment (my To Be Read pile grows larger every day), but oh, what we miss out on when we read a book only once. I’ve noticed so many little things that I didn’t catch the first time around that make the book more meaningful. Reading Code Name Verity again allowed me to see more clearly why the characters acted the way they did and therefore become more heroic in my eyes. Me and Earl and the Dying Girl by Jesse Andrews was the funniest book I have read in a long time, and it approached the subject of dying a bold manner. It answers the question, “Are we allowed to laugh when death is approaching?” with a “Yes.” The book made me laugh so hard I was crying, and I didn’t even notice when my tears of laughter turned to tears of sorrow. It is refreshing to read a book about cancer that allows you to let go of your preconceived notions (or emotions) and just laugh at the absurdity of it all. The last book that really had an impact on me was Aristotle and Dante Discover the Secrets of the Universe by Benjamin Alire SÃ¡enz. 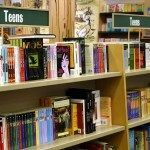 I had heard a few snippets about this book, but I wasn’t really sure what I was getting into. I was in for a surprise. The friendship between Ari and Dante that eventually grows into something more was genuine and breathtaking in its humanity. “Do you think, Ari, that love has anything to do with the secrets of the universe?” Yes, Dante, I believe you have figured it out.